Archives Week in Virginia celebrates those institutions and individuals that help preserve and make accessible the important records of our actions as citizens, businesses, religious groups, government and society. The work of these institutions and individuals gives us a sense of being part of a larger picture and helps us begin to see ourselves connected to others-family, community, nation or a group defined by ethnicity, religion, work or play. This year marks the third annual state-wide celebration of Archives Week in Virginia. Once again, the Library of Virginia, in conjunction with the Virginia Caucus of the Mid-Atlantic Regional Archives Conference (MARAC) and the Library of Virginia Foundation, have produced a poster commemorating the Commonwealth's archival and special collections repositories and the rich cultural record they protect. This year's theme, "Playing with History: Recreation and Amusements in Archives," highlights the lighter, yet nonetheless important aspects of leisure time activities in our lives. The poster would not have been complete without the contribution of images from institutions across the state, including Arlington County Public Library; Colonial Williamsburg; Hollins University; The Mariners' Museum; the Medical College of Virginia; the National Sporting Library; the University of Virginia's Alderman Library; the University of Virginia Health Sciences Library; Virginia Military Institute; Virginia State University; and Virginia Tech. 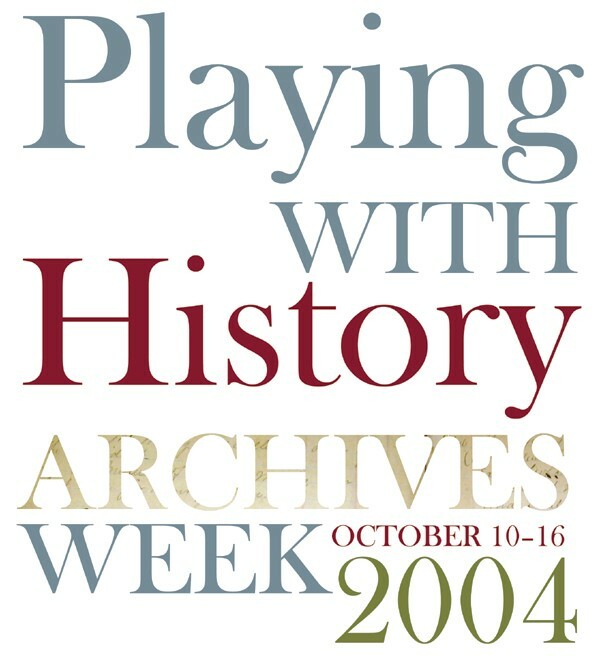 The Library of Virginia has again organized several free noontime talks focusing on this year's theme, detailed information for which is found at the link to Archives Week 2004 Events. You are invited to join us at these events as we celebrate all Virginians — not only those who have a history of working hard, but playing hard, too!